1. 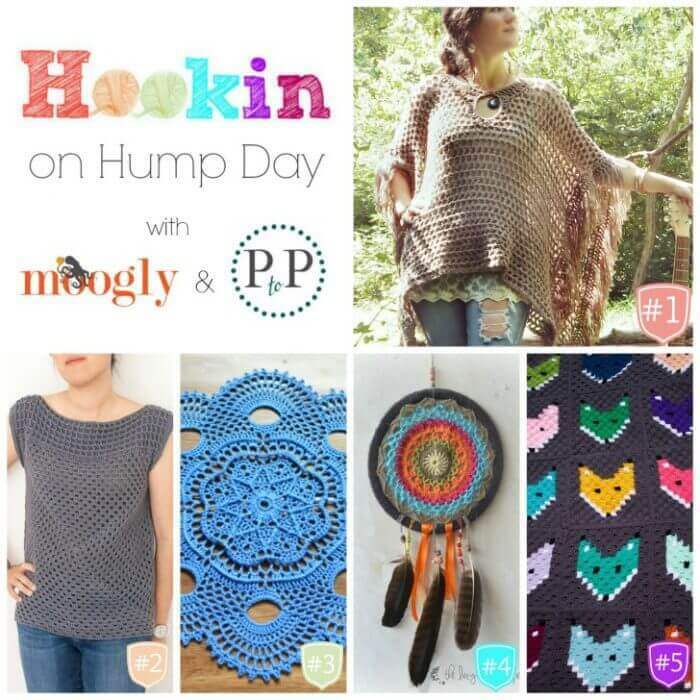 MOST CLICKED LINK: Freewheelin’ Poncho Pattern by Morale Fiber – Quick, easy, and inspired PAID crochet pattern! 2. Granny Squared Crochet Top by One Dog Woof – Fantastic FREE crochet pattern – with lots of info on customizing the fit! 3. Elise by Emily and The Handmade – Beautiful FREE crochet pattern! 4. Dreamcatcher by The Lazy Hobbyhopper – Colorful FREE crochet pattern and craft tutorial! 5. C2C Fox Block Blanket by The Friendly Red Fox – Love the blanket made with this FREE crochet graph pattern!